2 Bedroom Terraced House For Sale in Yeovil for Guide Price £160,000. This great opportunity for 1st tine buyers or investors. 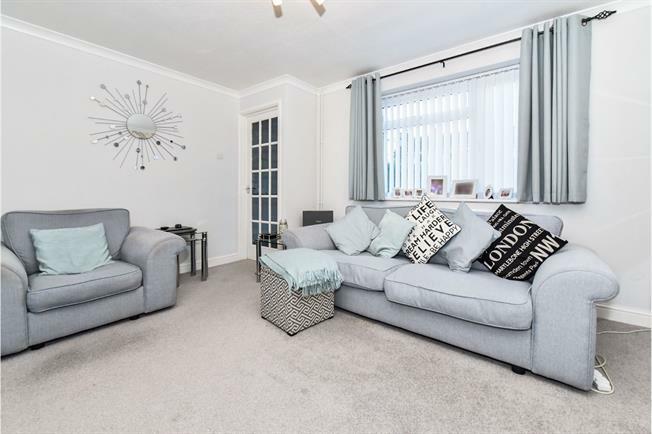 A deceptively large and very well presented two double bedroom mid-terrace house. Recently redecorated throughout and conveniently located within walking distance of local amenities and public transport links. Double glazed throughout, with new central heating system installed, and external workshop with parking. A contemporary room with window to rear, door to garden and stylish range of base and wall mounted units with marble effect worksurfaces over, incorporating Electric oven with gas hob, cooker hood, inset stainless steel sink unit with drainer and mixer tap, space for fridge/freezer, space and plumbing for washing machine and dishwasher. Ample space is provided for dining. With window to front, radiator and carpeting throughout. With window to rear and suite comprising low level WC, pedestal wash hand basin, panelled bath with shower above, part tiled walls, ceramic tiled flooring and radiator. To the front the property is approached via a garden which is largely laid to lawn with a range of shrubbery and trees. To the rear there is a low maintenance, landscaped rear garden with a decked area accessed from the dining area, decorative gravel and rear gated access to the parking. There is also a door to the useful workshop with window to side, power and lighting.